Join our TEAM MitoCanada family as a volunteer! Want to have fun, meet new people and make an impact within your community? If so, we want you! 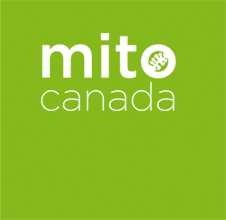 TEAMmito and MitoCanada host a wide range of events from community awareness initiatives, hockey and pub-nite fundraisers, marathons, spin-a-thons, charity golf tournaments and more. There is truly something for everyone. Much of the great work that happens at MitoCanada is made possible by the continued support of our dedicated volunteers. We simply cannot carry out the huge range of events we do without the support, energy and enthusiasm of our loyal volunteers. Many of our volunteer opportunities are needed at marathons, spinathons, and community fundraising events. 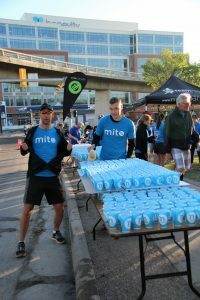 You can check out what we have on the go by visiting our TEAMmito Volunteer Opportunities page. We also have opportunities available helping us behind the scenes. Volunteering isn’t just a rewarding way to give back to your community, it’s a great way to grow your social network, improve mental health and promote higher levels of happiness and life satisfaction! So come on out and join us, meet our dynamic team and be a part of the energy and excitement we celebrate! If you are a student or have a student in your household, volunteering for MitoCanada provides a great opportunity for high school students attain their charitable volunteer hours.